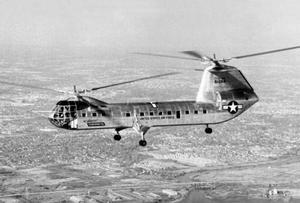 The transport helicopter (a.k.a. Model PV-15) cabin can carry up to 40 passengers or three jeeps or 32 stretchers. 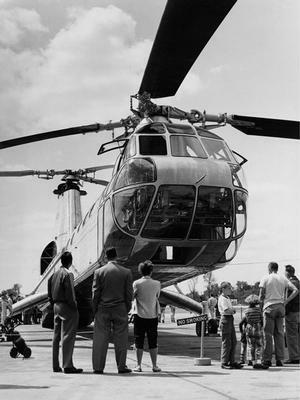 Resources related to the YH-16 Transporter, provided by the Vertical Flight Society. Resources related to the YH-16 Transporter, provided by public sources across the internet.